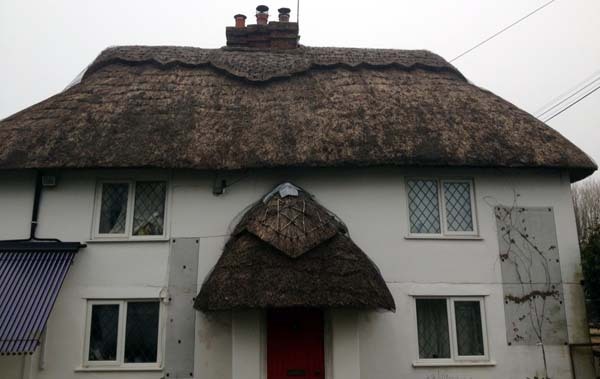 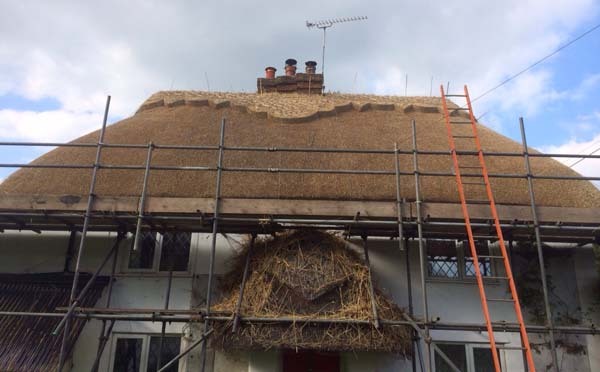 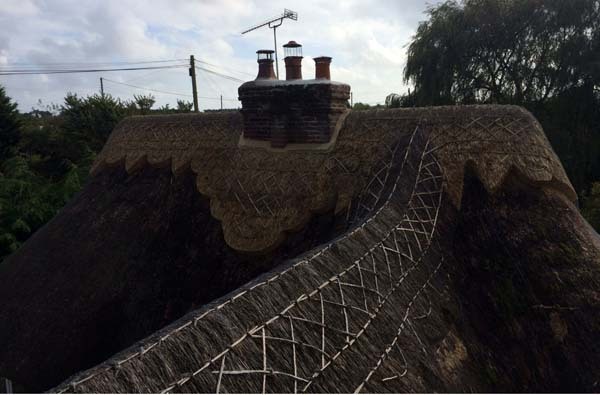 KH Thatching completed a re- thatch to the rear and ornamental block ridge on this cottage in Avon. 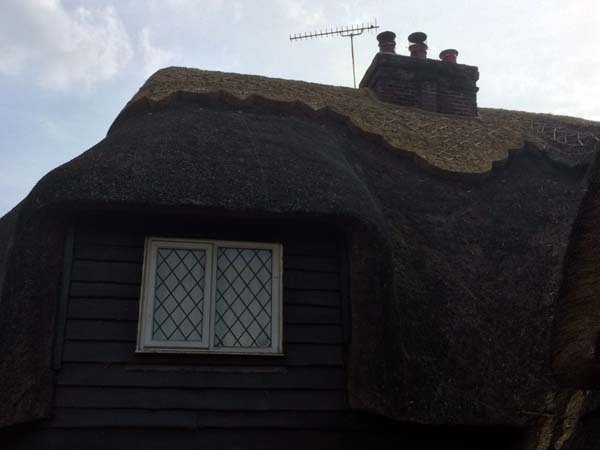 The back of the cottage was re-thatched and the front was repaired where necessary. 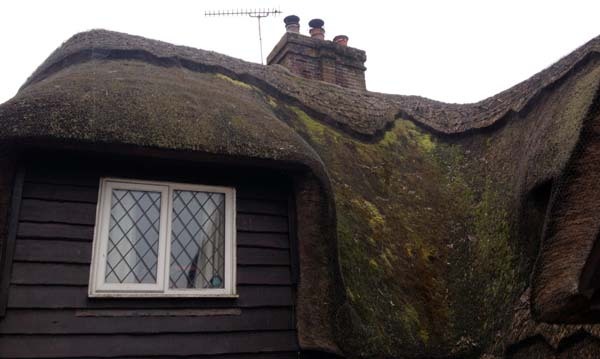 The ridge was cut in a scallop and point pattern with large scallops under the chimney.